ALL STARTING UNDER 20.00. MANY SETS VALUED AT OVER 100.00!!!! 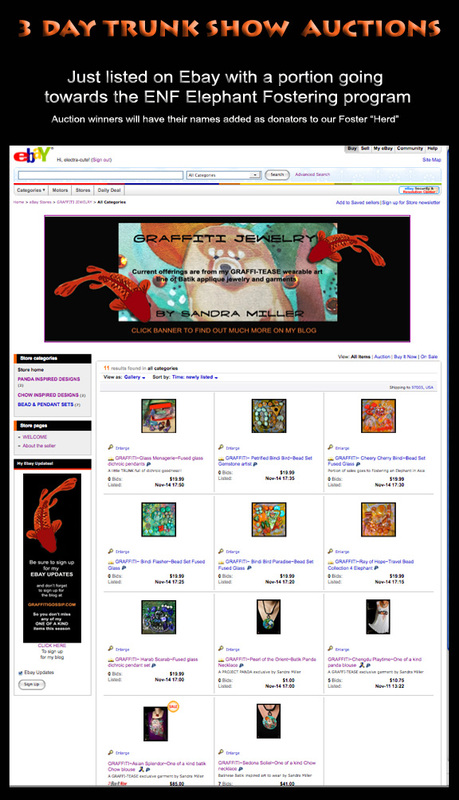 THESE ITEMS ARE NOT AVAILABLE ON THE WEBSITE PORTION OF THE TRUNK SALE AND INCLUDE MY ONE OF A KIND FUSED GLASS PENDANTS………..OMG….THERE ARE EVEN BINDI BIRDS IN THE MIX!! 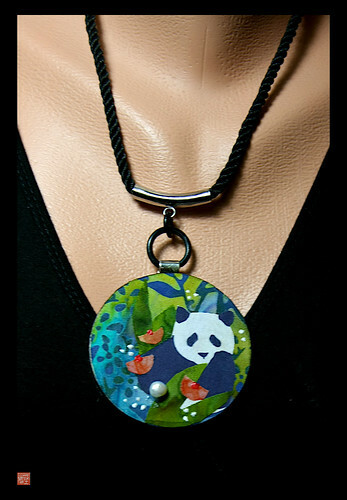 And while you are checking out the auctions…don’t miss the 5 day auction of my latest Panda batik necklace with a REAL pearl from Hailong Bay in Vietnam!! 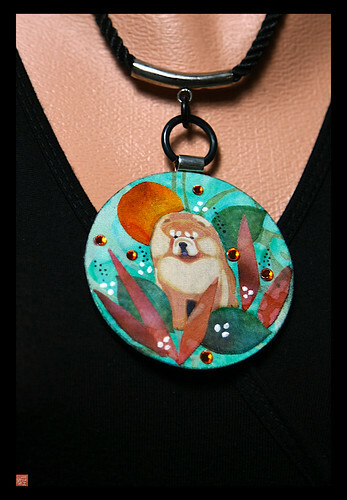 The scrumptions CHOW BATIK PENDANT closes tomorrow too!